When you first login to your fresh Callexa account you are prompted to create your first survey. Just define an internal name (not visible to your customers), set the language and submit. Log into your Freshdesk helpdesk, click the profile picture on the top right and select "Profile Settings". A new page will open where you can find the API Key in the sidebar on the right. Copy this key to your clipboard. Back to Callexa. 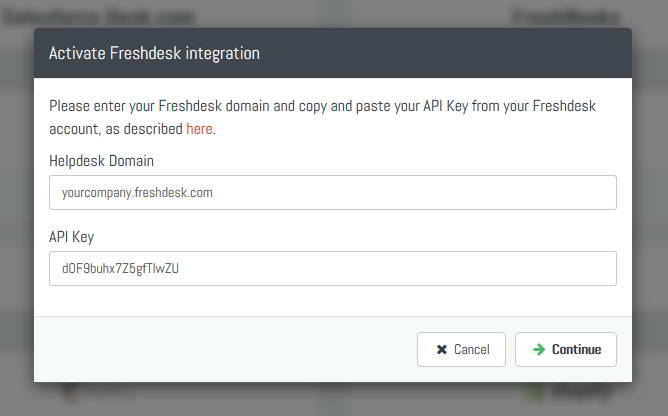 Click the "Integrations" tab of your survey, look for the Freshdesk card and click "Activate". 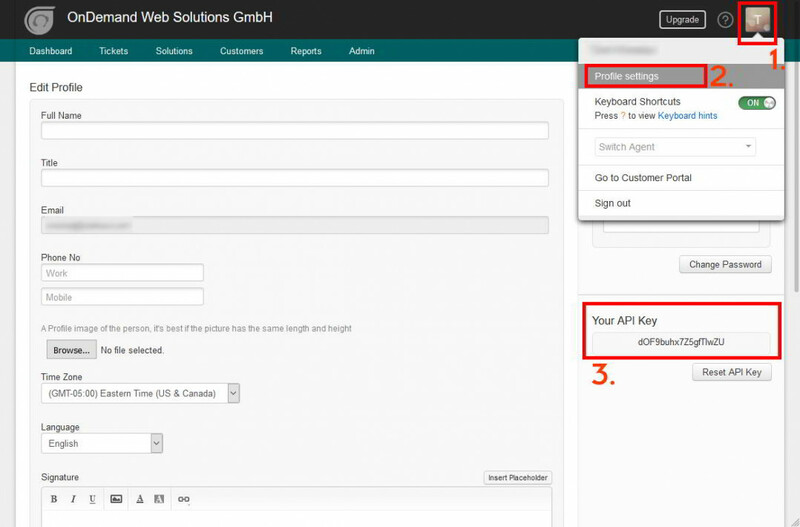 A dialog will appear asking for your helpdesk domain and the api key obtained in step 2. Click "Continue" to grant Callexa access to your Freshdesk data. Note: Callexa will only read the ID and resolve date of a ticket, as well as the email address and full name of the assigned customer. 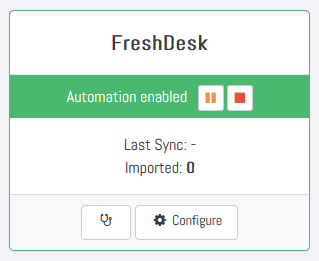 We do not store or process any other content from your Freshdesk account. You are almost done. If activation was successful, you will be prompted to specify a send delay. The customer is added to the recipients queue shortly after an agent has set a ticket to resolved. You can either let Callexa survey your customer right away by setting a delay of 0 days or let it wait a few days. It's also possible to enable the back sync capability. Incoming ratings and comments will then be attached to the ticket as a note right in your Freshdesk account. Otherwise, you are all done. Just follow your usual routine at Freshdesk and wait for the first responses to come in.